Why is choosing the right gutters so important? Home Blog Why is choosing the right gutters so important? 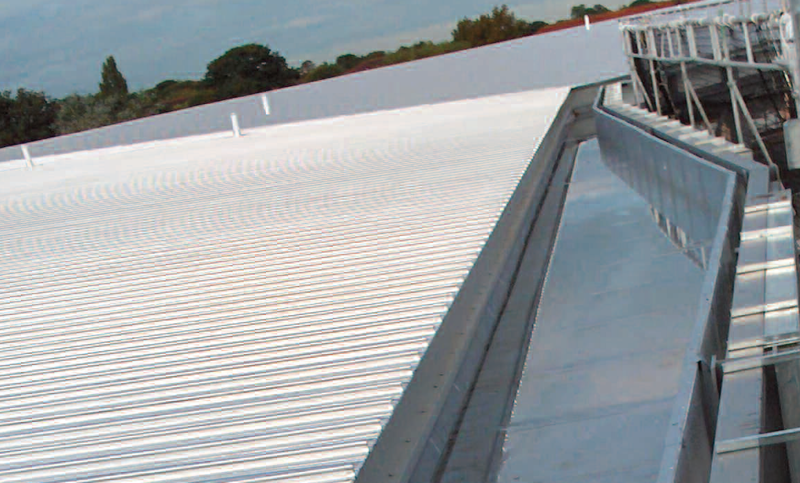 Membrane lined gutters have now been used in the roofing and cladding industry for many years. These can be in the form of single skin, insulated and composite gutter systems. When designed and installed correctly membrane lined gutters provide a secure watertight gutter solution especially at the gutter joints which historically have been the weakest point where bolted joints relied upon sealants and gaskets. Having a fully welded waterproof joint has eliminated these problems, making industrial gutters much more reliable and effective. IKO Polymeric offers galvanised steel substrates thicknesses ranging from 0.6mm to 1.5mm with steel widths up to 1.475m wide. This offers gutter manufacturers and fabricators a full choice of products to enable them to select the correct material depending on whether they are supplying a high drainage capacity composite gutter or a small single skin design. IKO Polymeric also offers Armourflow metal which is 1.2mm thick galvanised steel substrate laminated with a 1.2mm Armourplan membrane. 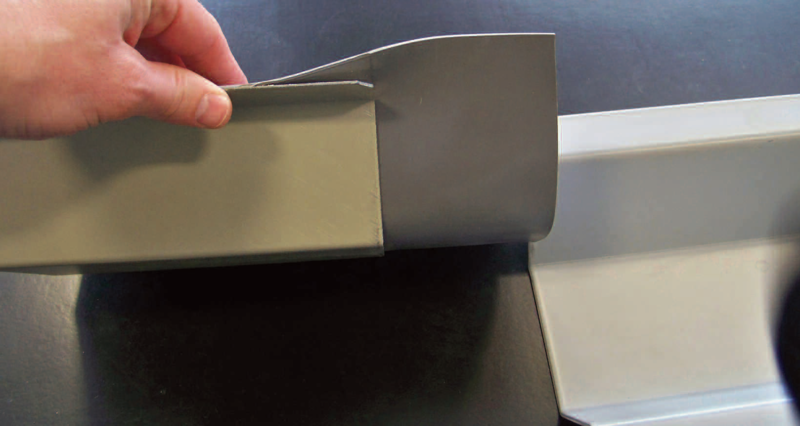 Armourflow differs from standard precoated metal as it incorporates a 75mm membrane flap at one sheet end. This allows a quicker installation time as there is only one weld to carry out per joint. It also reduces cost for materials as no membrane jointing strip is needed and as there is only one weld, it decreases the chances of workmanship errors leading to leaks. To ensure a completely watertight and guaranteed system is achieved, IKO Polymeric also offers a full range of flow tested rainwater outlets tested to EN 1256. IKO outlets ensure that the hot air welded seal between the rainwater outlet and the coated metal is 100% watertight. They don’t rely on sealants that are a maintenance item which will ultimately fail. IKO Polymeric also offers a full range of accessories such as preformed corners, membrane strips and even bespoke details for really complex situations. When designing a gutter, in addition to the rainfall capacity requirement and the sizing of the rainwater outlets needed to drain the roof area; the structural loadings, live, dead and snow, should be taken into consideration. Large girth gutters may need additional structural support. Gutter maintenance should also be considered: is the gutter a practical width to walk down or easily use a soft brush in? Membrane lined gutter systems are designed to perform for years through rain and shine with no issues. 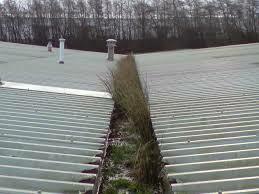 However regular inspections and maintenance will be a requirement to get the full service life from the gutter. Pro-active prevention is better for everyone than emergency remedial work to solve a problem. Gutters must be inspected at least annually and after any heavy storms by a competent person. The gutters, outlets and leafguards etc. should be checked for damage and ensure that they are clear of any debris, leaves etc. that may block the system. When using a siphonic drainage system, more regular inspection and maintenance may be required and the siphonic rainwater system manufacturer should be consulted on their best practice guidance. When cleaning out gutters any debris should be collected using non-metallic tools, i.e. soft bristled brushes/brooms, PVC shovels, etc. This will ensure that there is no damage caused to the membrane surface. Ensure that all debris is removed from the gutters and roof area. If any damage is found to the membrane, the area should be cleaned and prepared in accordance with IKO Polymeric recommendations and a patch repair undertaken by an IKO Armourplan trained operative. If the membrane is damaged where it has been laminated to the steel, it is unlikely that it will initially cause a path of water ingress. However if left un-repaired, corrosion to the steel substrate could occur damaging the integrity of the gutter. IKO always recommend that damage is repaired as soon as possible. In addition to the regular planned inspections, an inspection should be undertaken after the initial gutter and associated roofing installation must be completed. This inspection should check to see that the gutter has been installed in accordance with the manufacturers specification, outlets have been installed correctly, are the correct size and have leafguards fitted if required. Laps should be checked using a seam probe to make sure any weak welds made good by the installing contractor and any damage found to the membrane is repaired. Any swarf, screws or other construction debris has been removed and the gutter is clean and ready for service. If designed, installed and correctly maintained, your Armourplan membrane coated gutter will give trouble free roof drainage for years to come. If you have any questions or comments, please do not hesitate to contact your local IKO Polymeric business manager or the IKO Polymeric technical services department.